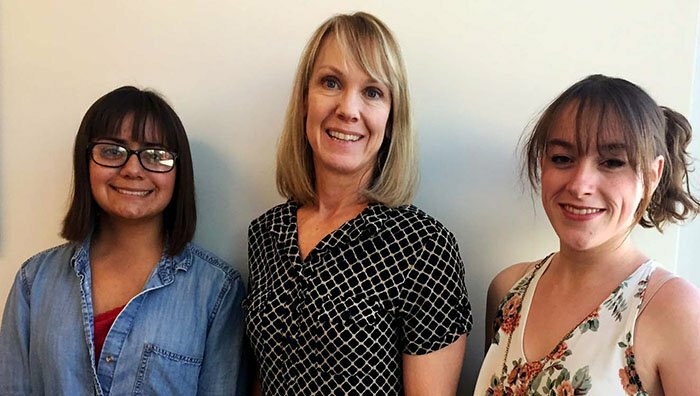 From left, junior Sidney Rascon, English faculty member Kimbel Westerson and junior Kara Lavery encourage the community to check out Friday’s National Day on Writing. On a campus that knows how to celebrate in style – think Midnight Madness, Lope-A-Palooza and Hanging of the Greens, to name a few – add National Day on Writing to the list of Grand Canyon University events to write home about. Members of the National Council of Teachers of English Club (NCTE) hope students from every major try their hand at creative writing activities planned for the day. It might help them turn over a new leaf. They might find their inner author. 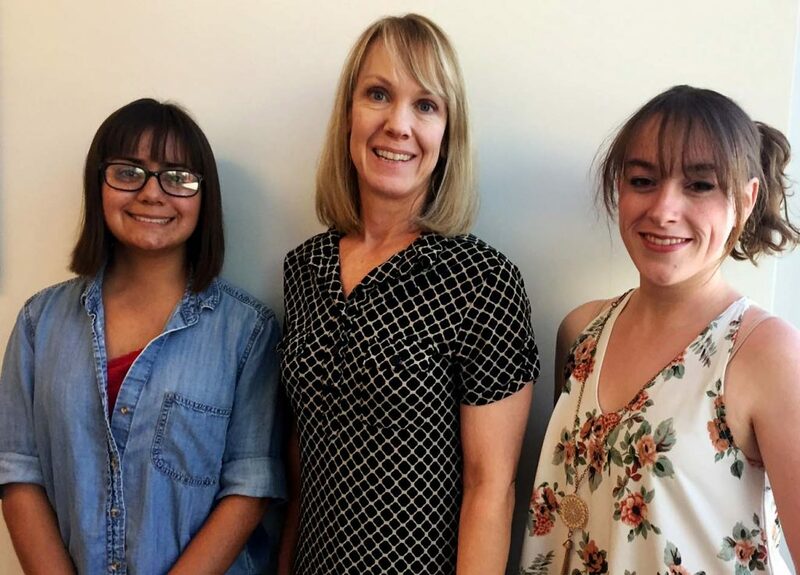 GCU’s English faculty hopes to attract a large crowd Friday. From 10 a.m. to 3 p.m. Friday on the Promenade in front of the College of Humanities and Social Sciences, passersby can enjoy a number of creative activities and meet members of GCU’s thriving writing population. Students, faculty and staff will be invited to read sidewalk poetry and to add a plot twist or two to one of several community extend-a-stories. The six-word autobiography, which attracted a lot of participants last year, also is making a comeback. Sidney Rascon, a junior majoring in English, said she hopes a diverse group of students attends to find out why she, Lavery and other writers are so passionate about the subject. In addition to the NCTE club, GCU also is home to Write On, Friends of the Pen, Professional Writing Club and Novel Ideas. Lavery and Rascon also encourage students to use the hashtags #WhyIWrite and #Right2Write for any photos or writings they send out on social media. 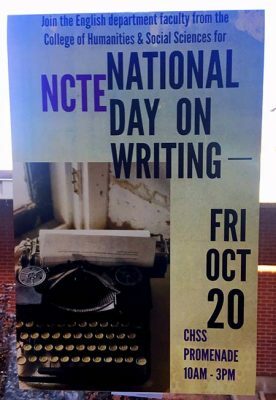 The National Day on Writing was established by the NCTE to celebrate the joy and evolution of writing.